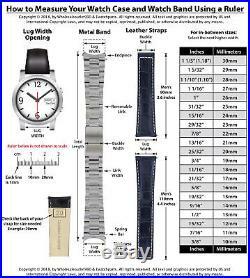 Watch & Strap Measurement Guide. BEZEL INSERT FOR INVICTA. BEZELS FOR ROLEX GOLD & STEEL. BUCKLES FOR B & R. CZ BEZELS FOR ROLEX. EXTRA LINKS FOR ROLEX. GMT INSERTS & BEZEL. LINKS, ENDS, CLASPS FOR OMEGA. PLASTIC CRYSTAL FOR ROLEX. SCREW, SCREW DRIVER FOR HUBLOT. SEADWELLER & NODATE SUBMARINER. SUBMARINER INSERTS & BEZEL. TAG HUER WATCH PARTS. TUBE & SCREW FOR BELL & ROSS. TUBE, SCREW, BRIDGE FOR PANERAI. TUBES & SCREW FOR ENZO MECHANA. WATCH BAND FOR PANERAI. WATCH BAND FOR ROLEX. WATCH BAND FOR TAG HEUER. WATCH BANDS FOR BREITLING. WATCH BANDS FOR OMEGA. 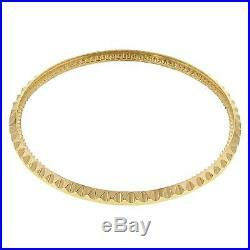 REAL GOLD 18K BEZEL RING INSERT FOR ROLEX SUBMARINER 16800, 16610, 16613, 16618. The item for sale is a brand new, top quality, aftermarket replacement, 18ky solid gold (Real gold and not gold-filled, plated or overlay) rotating gold bezel ring. They are made for a new Rolex Submariner which comes with a sapphire crystal for 16800, 16803, 16613, 16618, 16600 and others. This 18ky gold rotating bezel is made like the original. This item is guaranteed to be 18k solid Real gold and fit your Rolex Submariner watch which has a sapphire crystal. You will not be able to tell the difference from the original. All Customers Please Read The Following Before Purchasing. Be sure to check our detailed measurement guide below or in the photos/images section of the listing to assist you with purchasing the correct parts for your watch. 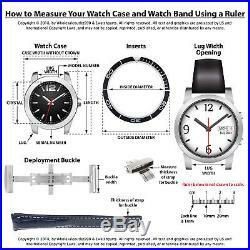 The guide will show you how to measure the lug width opening of your watch using a ruler, how to check your model number, and assist you with other questions you may have regarding measurement. Many watches appear the same but may be different in case size or year model. Thank you for your business! We sell only the best quality replacement watch parts and accessories for your watch. Visit our online store for a huge selection of other watch parts. Please Note: We have a 1 day processing time for all orders. It’s fast, free, and secure! Q: Will this item fit my watch? Yes, all items we sell are made to fit the watch they are advertised for. Make sure you read the description in full before purchasing as some watches may look the same but there may be some variation based on the year and model of the watch. Be sure to check the size of the part you need and compare it with our product description. Q: How does the quality compare to factory parts? When we manufacture our items, we make sure they are made to fit like original and made with the highest quality and craftsmanship. Q: Does this item come with the brand name markings/logo? No, all of the items we sell are aftermarket replacement parts. No brand name markings or logos are on any items we sell nor can we get them, so please do not ask us. Q: How do I check what case number and/or serial number I have on my Rolex or Tudor? Remove the end piece at the 12 o’ clock position to locate the case/reference number and at the 6 o’ clock position to locate the serial number. Q: Do you carry any other parts for my watch? Q: Where are you located? Q: I have left you feedback but you have not left me feedback, why? Our automated service will leave feedback for you within 24 hours after you have left feedback for us. Q: Can I call you to ask questions about an item? Q: What if I have a problem with the item not fitting? We are here to help and will try to resolve any issue you may have. The item “REAL GOLD 18K BEZEL RING INSERT FOR ROLEX SUBMARINER 16800, 16610, 16613, 16618″ is in sale since Wednesday, September 28, 2011. 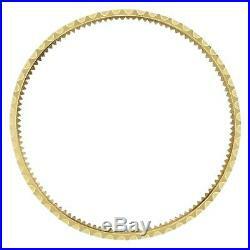 This item is in the category “Jewelry & Watches\Watches, Parts & Accessories\Parts, Tools & Guides\Parts\Bezels & Inserts”. The seller is “wholesaleoutlet990″ and is located in Conroe, Texas. This item can be shipped worldwide.